F.W. J. Baedeker (1788-1865) was born in Dahl. He bought the first pharmacy at Witten (situated at the Hauptstraße), which he conducted until 1850. Baedeker was a member of the political government of the town Witten as well. At these times Witten grow rich due to mining and metal industry, which in turn was profitable for the pharmacy. So Baedeker had time and money enough to pursue a special scientific hobby. 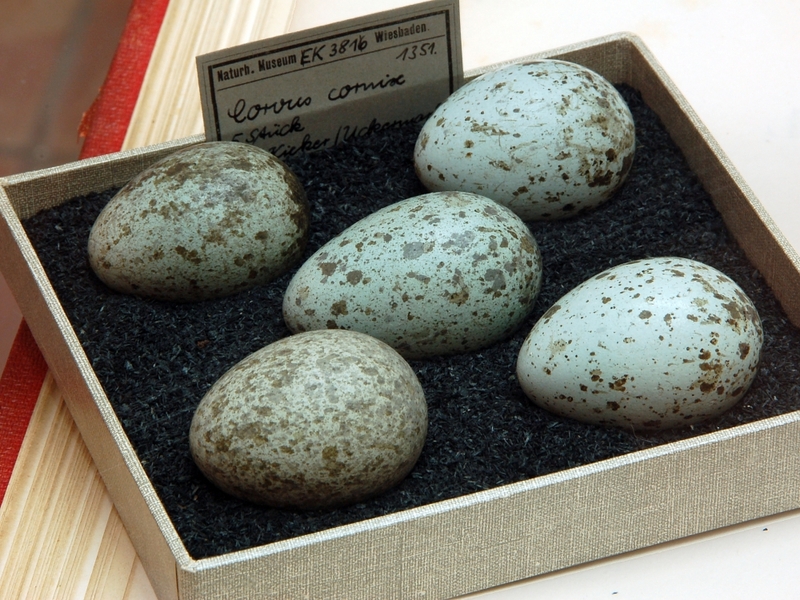 He was widely known and reknown as ornithologist and oologist and had a huge collection of bird´s eggs. The pictures he painted of these eggs were highly praised by his contemporaries. 34 of the colored sides in Brehms book “Handbuch der Naturgeschichte aller Vögel Deutschlands” (Handbook of all German Birds) were painted by Baedeker. 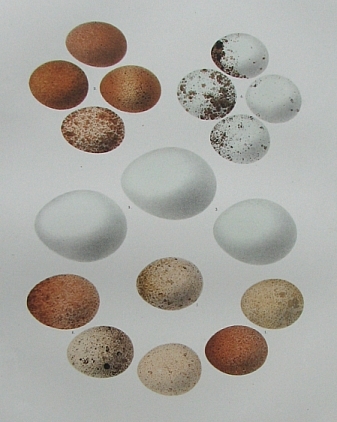 He illustrated the book “Die Eier der europäischen Vögel, nach der Natur gemalt mit einer Beschreibung des Nestbaus” (Eggs of european birds, painted in their natural settings with the nests) as well. This book, with texts by L. Brehm und W. Pässler, was published 1835-1836 and made him famous through the whole ornothologist world. The “Märkisches Museum” in Witten presents one of these splendid books. Another book which he planned together with Christian Ludwig Brehm, the “Vollständige Naturgeschichte der europäischen Vögel” (Complete handbook of all european birds), and which should contain more than 300 pictures by Baedeker, could not be printed due to financial difficulties. The painter Baedeker was a perfectionist. He burned all pictures he made during his first 20 years as a painter because he considered them inferior. When he finally presented his pictures to the publicum people were enthusiastic. Besides paiting Baedeker also collected rare plants and had a well cultivated apothecary garden. His collection of bird´s eggs is in the Museum Wiesbaden. F.W.J. Baedeker died April 1th 1865 in Witten. In this town a street and a school were named after him.